The measurement of human muscle size is essential when assessing the effects of training, disuse and ageing. The considered ‘gold standard’ for cross-sectional area measurements of muscle size is magnetic resonance imaging (MRI). However, MRI is costly and often inaccessible. The aim of the present study was to test the reproducibility and validity of a more accessible alternative method using ultrasonography (ULT). We examined the cross-sectional areas in the vastus lateralis muscle of six individuals. Axial-plane ULT scans were taken at given levels along the entire muscle length. The ULT scanning was repeated on different days (reliability) and validated against MRI-based measurements. Mean intraclass correlation coefficients were 0.998 for the reliability of ULT and 0.999 for the validity of ULT against MRI. The coefficient of variation values for cross-sectional area measurements assessed by six different experimenters were 2.1% and 0.8% for images obtained with ULT and MRI, respectively. The ULT method is a valid and reliable alternative tool for assessing cross-sectional areas of large individual human muscles. 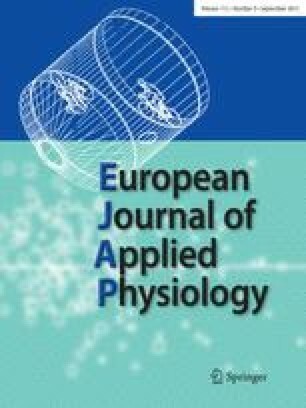 The present findings justify the application of the ULT method for the detection of changes throughout large muscles in response to training, disuse or as a consequence of sarcopenia. This work has been partly supported by Italian Space Agency funds.